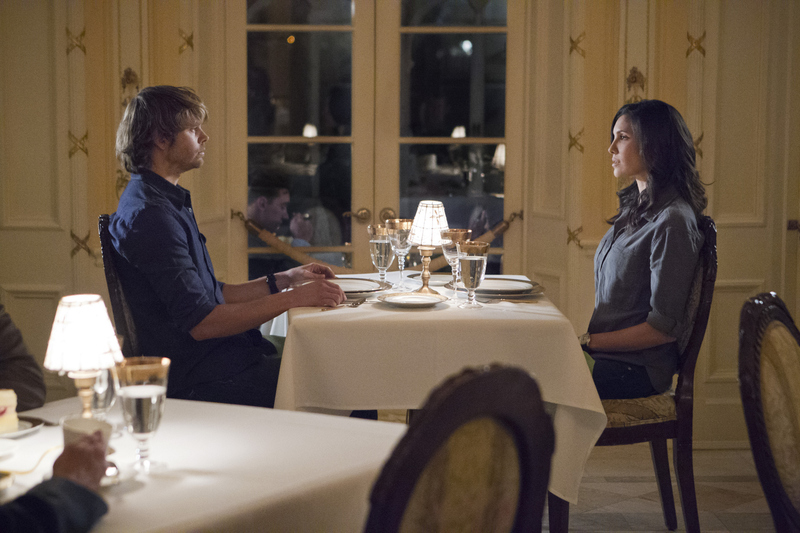 Pictured: Eric Christian Olsen (LAPD Liaison Marty Deeks) and Daniela Ruah (Special Agent Kensi Blye). Kensi goes undercover as a nutritionist and Deeks poses as a new patient at a rehab center to investigate the death of a Navy officer, on NCIS: LOS ANGELES, Tuesday, Nov. 19 (9:00-10:00 PM, ET/PT) on the CBS Television Network. William Russ guest stars as Martin Lake, owner of Tranquility Villa. Photo: Sonja Flemming/CBS ©2013 CBS Broadcasting, Inc. All Rights Reserved.